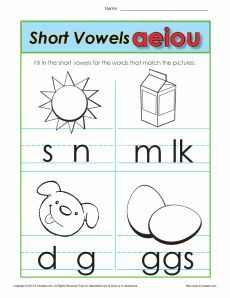 Does your student need practice on short vowels? Then this is the worksheet you need! She’ll fill in the short vowels for the words that match the pictures. The worksheet is compatible with the Common Core Standards for Phonological Awareness for first grade. Other grades may also find it helpful.